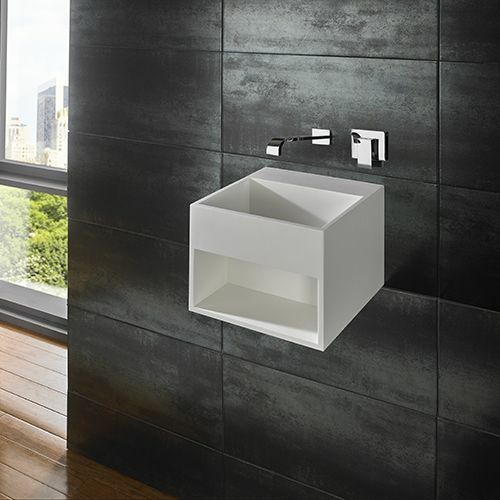 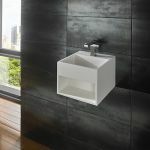 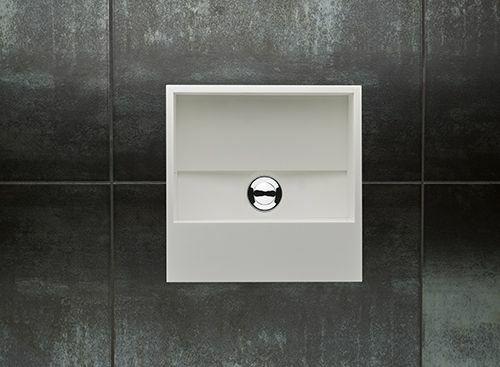 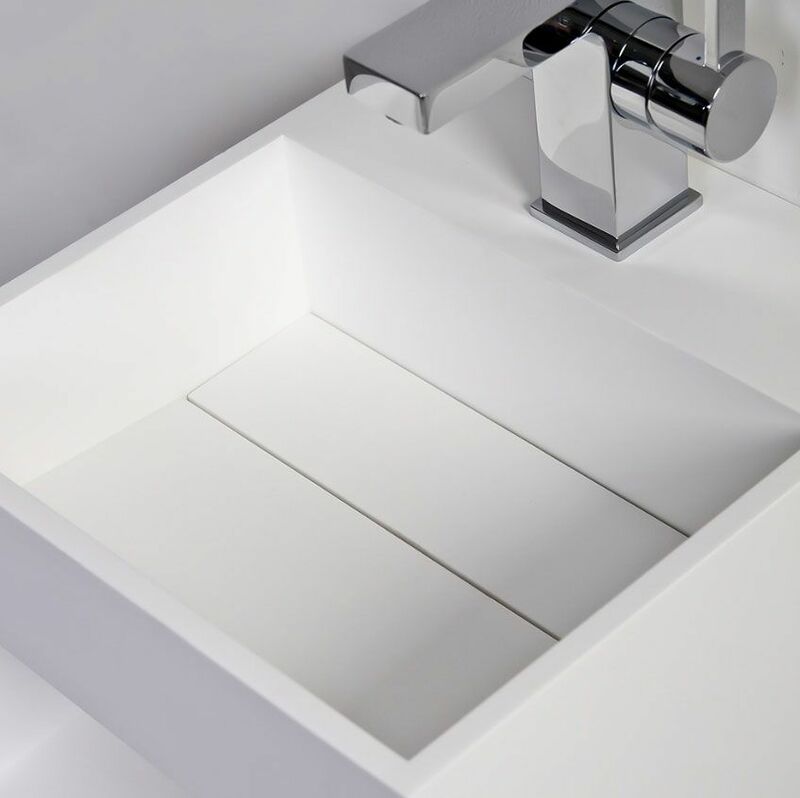 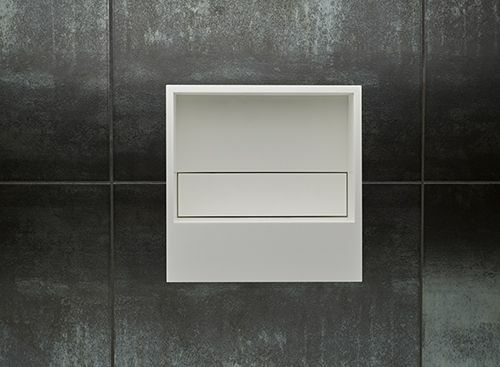 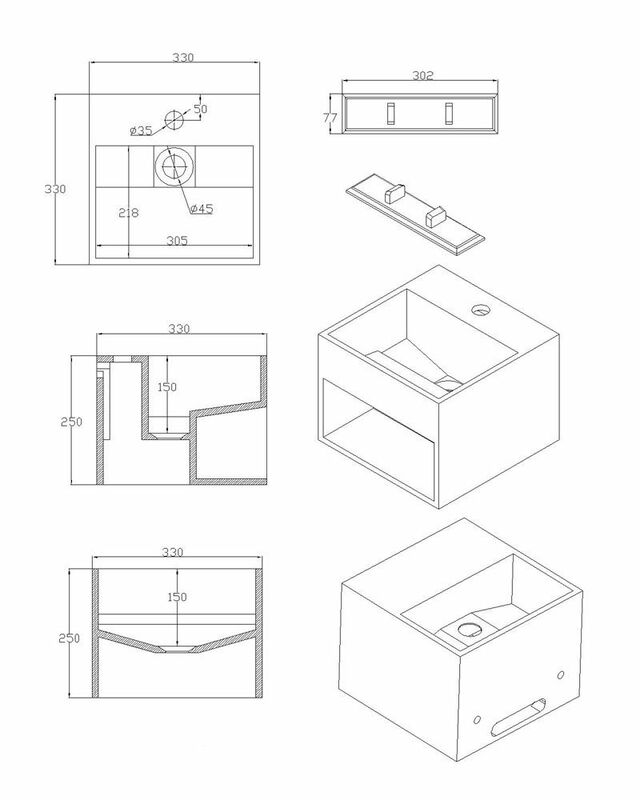 State of the art would be how we described our Brand New Solid Surface Mexa 330mm basin. 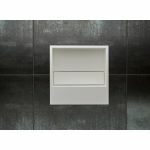 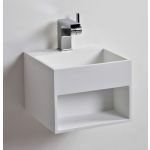 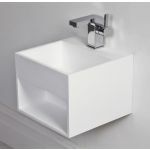 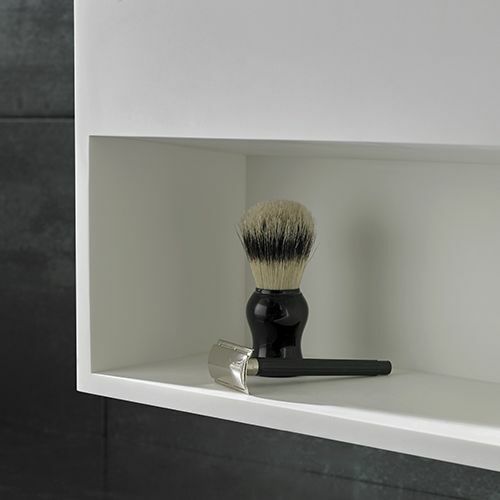 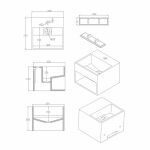 Designed with en suites and smaller bathrooms in mind, the basin has a superbly practical under basin storage area, perfect for towels, shampoos or other bathroom nick knacks. 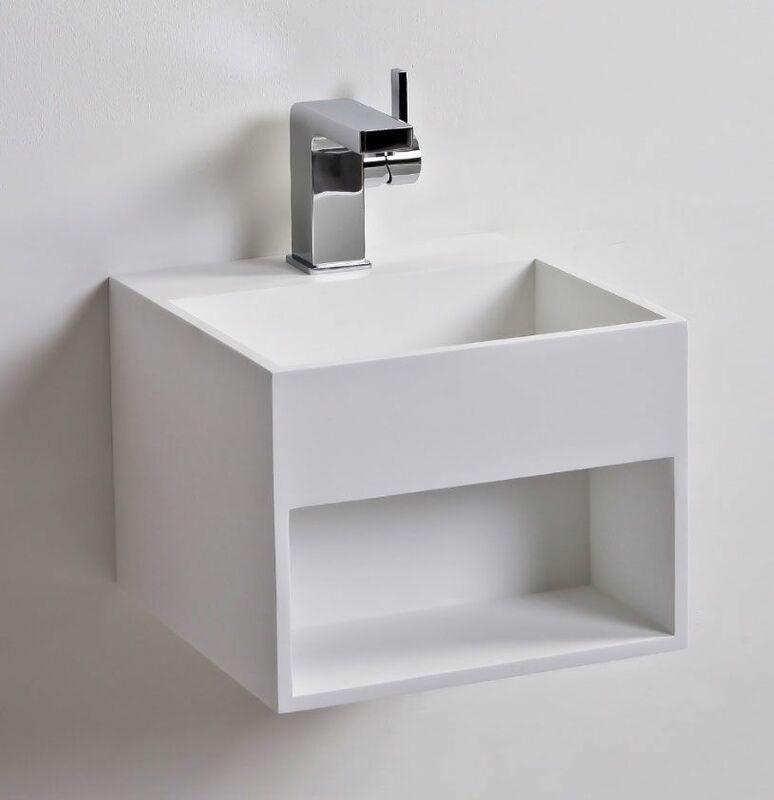 The other beautiful consideration about the Mexa is that it has been designed so all the plumbing is out of site in the rear of the unit..its true to say our designers have thought of everything with this model. If ever there was a piece that will make people stop and look - this is it! 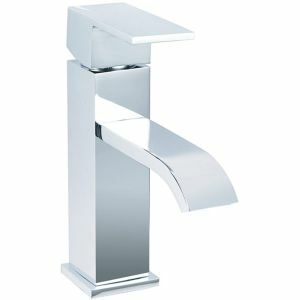 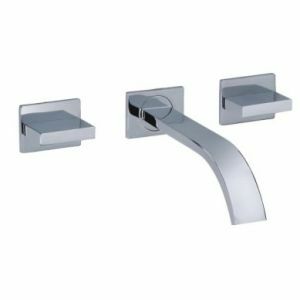 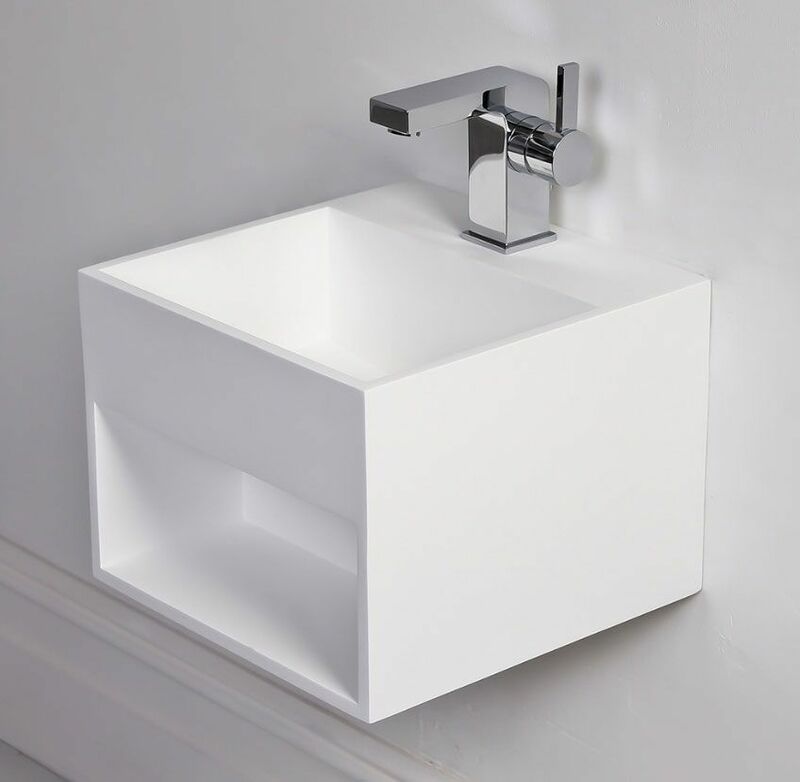 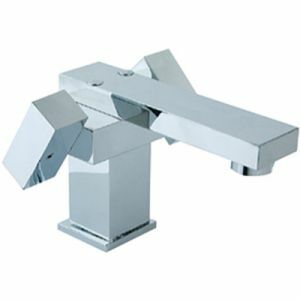 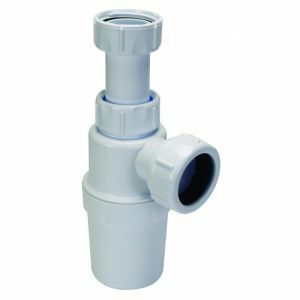 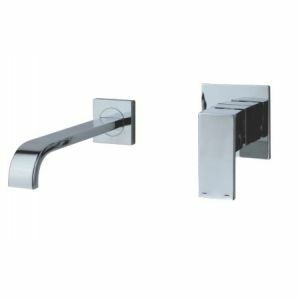 The basin can be supplied with either a tap hole for top mounting tap or with no tap hole, to allow a wall mounted tap to be used, its fair to say that we really are excited about this model. 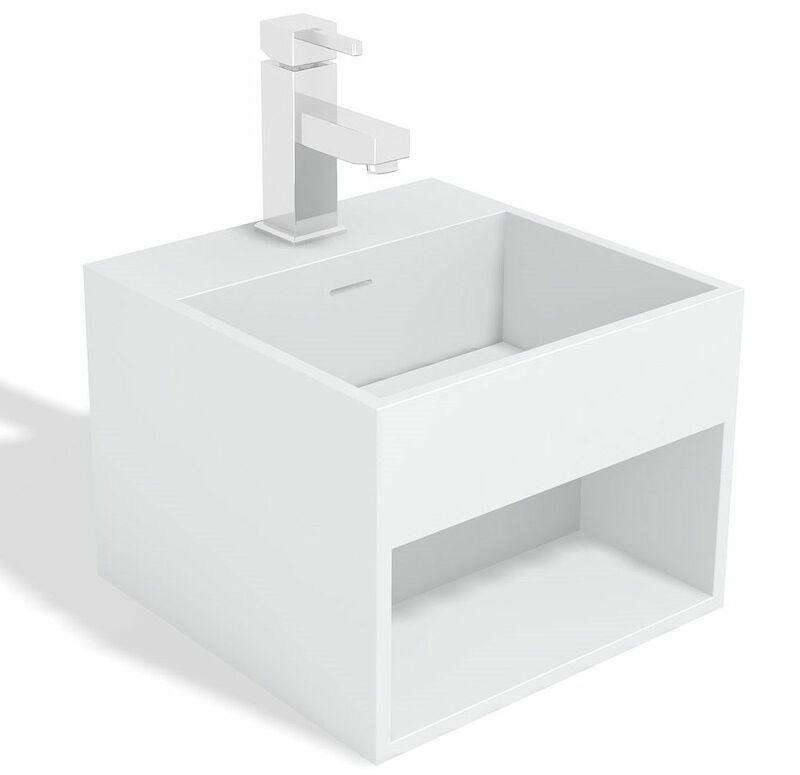 We also have this model available in a wider 50 cm version if required.